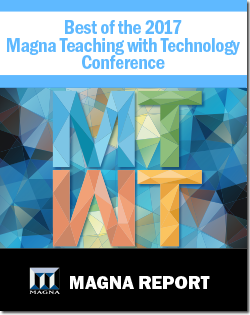 Expand your reach and enhance your brand recognition at the Magna Teaching with Technology Conference! Magna Teaching with Technology conference draws hundreds of motivated collegiate leaders seeking to improve their careers and their institutions success. Unlike large tradeshows, Magnas conferences offer plenty of opportunities to market your products and interact one-on-one with academic decision makers and end users who are looking for new solutions and technologies. The Magna Teaching with Technology attendees value exhibitors they can engage and interact with to learn more about learning tools,products,and services. The Magna Teaching with Technology conference offers a diverse and flexible selection of sponsorship and exhibiting opportunities that can be tailored to help your company expand its reach, build brand awareness, and generate new leads!